With 20% of World's Population, India should also produce 25% of Global Metals if it aims to create jobs and eradicate poverty. 07 Jul ,17 Sesa Football Academy to equip players beyond football- SFA President. 08 Aug ,16 Vedanta lays the foundation stone for Nand Ghars in Goa. 19 Jul ,16 Vedanta aligns with Pradhan Mantri Kaushal Vikas Yojana to skill youth. 19 Jul ,16 Vedanta Awarded at the Dun & Bradstreet Corporate Awards 2016. 18 Jul ,16 Vedanta Sesa Technical School Faculty Receives Best Instructor Award on World Youth Skills Day. 15 Jul ,16 Vedanta-Sesa Goa Iron Ore Distributes Fertilizers to Farmers. 13 Jul ,16 Vedanta Limited Awarded for Environment Management at the Golden Peacock Awards. 06 Jul ,16 Vedanta Sesa Goa Iron ore gets 5 Star Rating for Sustainable mining. 06 Jul ,16 Vedanta plans extensive plantation drive. 01 Jul ,16 Vedanta Sesa Goa Iron Ore bags Environmental Leadership Award. 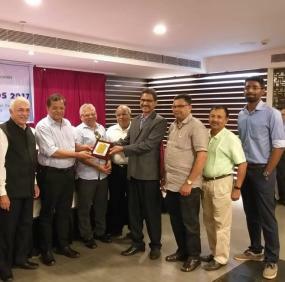 22 Jun ,16 Vedanta's Silvassa Unit wins Chairman's Business Awards. 05 Jun ,16 Vedanta Limited leads India Disclosure Index. 05 Jun ,16 CM Visits Vedanta's Sanquelim Reclamation Site on World Environment Day. 05 May ,16 Vedanta's mining pits act as chalice to quench capital. 04 May ,16 Total Productive Maintenance zero loss concept inauguration ceremony at Amona Plant. 04 May ,16 Vedanta's VAB unit creates Hat Trick. 18 Apr ,16 Admission Notice To Sesa Football Academy, Sankhali's Goa. 15 Apr ,16 Vedanta receives Letter of Awards for re-development of Mormugao Port. 06 Apr ,16 Sesa Football Academy invites applications for coaching program. 08 Mar ,16 Vedanta celebrates International Women's Day in Goa. 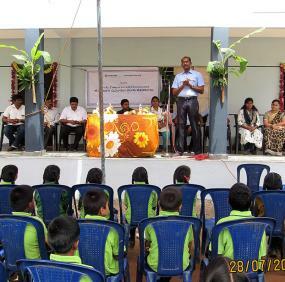 04 Mar ,16 Vedanta -Sesa Goa Iron Ore celebrates National Safety Day. 01 Feb ,16 Admission Notice To Sesa Football Academy Sankhali - Goa. 29 Jan ,16 Vedanta Conducts Safety Workshop to Drive Awareness. 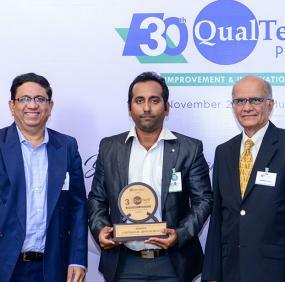 08 Jan ,16 Vedanta's Sesa Goa Iron Ore Value Addition Business (VAB) top 25 Innovative organizations in India. 05 Jan ,16 Sesa Technical School - Empowering Youth for More than Two Decades on Skill Building. 30 Nov ,15 A Collaborative Approach Shall be a Win Win for the Mining Industry in Goa. 17 Nov ,15 Vedanta signs MOU with Directorate of Education to implement Vedanta E-shiksha. 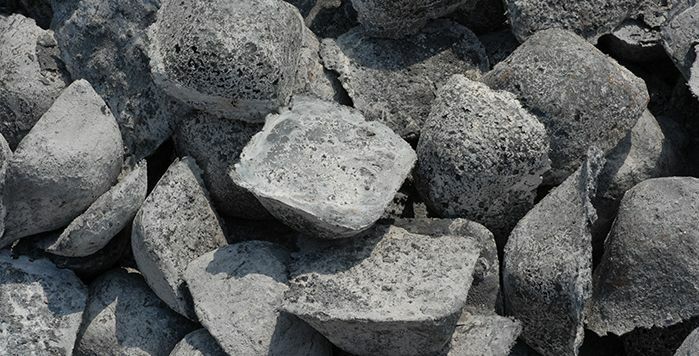 30 Oct ,15 Vedanta Iron Ore business may come to a standstill if truck issue is not resolved. 22 Oct ,15 Vedanta transports e-auctioned Iron Ore at a trucking rate declared by the DMG. 19 Oct ,15 Vedanta Exports First Shipment of Iron after resuming operations in Goa. 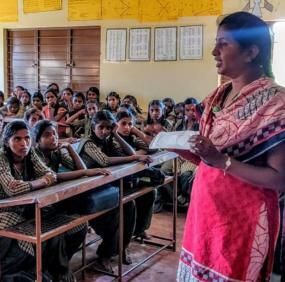 09 Oct ,15 Vedanta’s Sesa Goa assists Educational Excellence. 21 Sep ,15 Vedanta and WCD sing MOU-hindi version. 27 Aug ,15 Sesa Football Academy won the GFA U-16 championship. 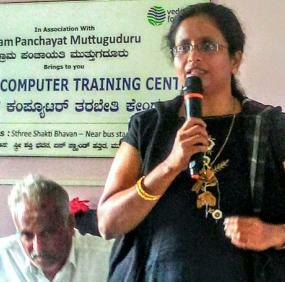 19 Aug ,15 Vedanta revives Computer Literacy Program in Sanquelim. 19 Aug ,15 Vedanta Limited - Sesa Iron Ore Business conducts cleanliness drive in Bicholim. 16 Aug ,15 Vedanta Limited salutes PM’s Vision to foster Entrepreneurship. 10 Aug ,15 Vedanta resumes Iron Ore mining in Goa after 3 years. 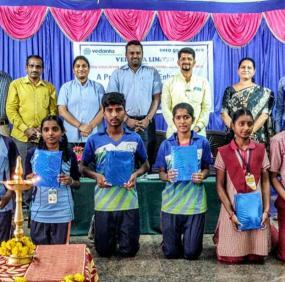 30 Jul ,15 Vedanta celebrates graduates of its Computer Literacy Programmes. 16 Jul ,15 Vedanta distributes fertilisers to farmers in Pilgao and Amona. 22 Jun ,15 ‘International Yoga Day’ celebrated at Vedanta, Goa. 10 Jun ,15 Clarification on Fugitive Emission. 08 Jun ,15 ‘Wealth from Waste’; the theme for Vedanta’s World Environment Day celebrations in Goa. 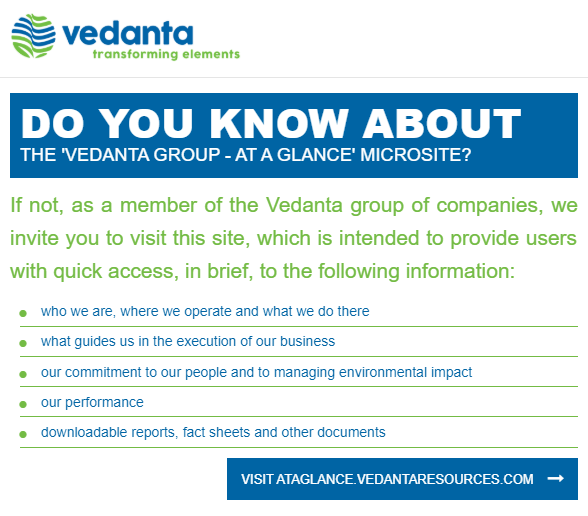 04 May ,15 Vedanta Unveils New Logo. 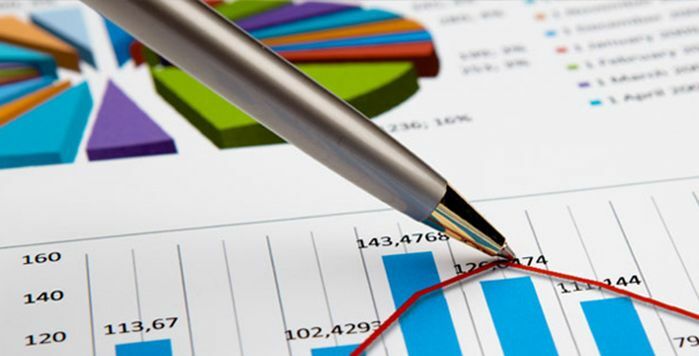 30 Apr ,15 Export duty reduction. 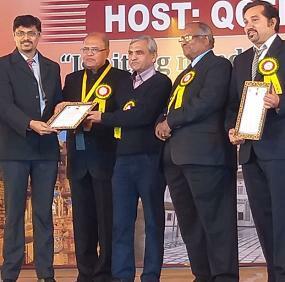 25 Apr ,15 Vedanta Limited Pig Iron Business wins Good Green Governance Award for the 3rd consecutive year. 22 Apr ,15 Sesa Sterlite Limited renamed Vedanta Limited. 17 Apr ,15 Sesa FA (Jrs) won against Dempo SC in GFA U-18 tie. 16 Apr ,15 Sesa Football Academy bags ‘Best CSR project award’. 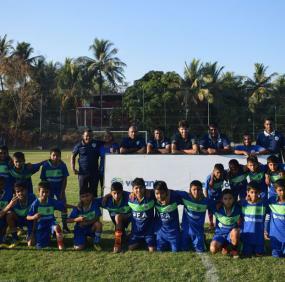 14 Apr ,15 Sesa Football Academy - Juniors now in Goa Football Association 1st Division League. 26 Mar ,15 Sesa Sterlite Sells Asset at Scrap Value. 07 Mar ,15 Vedanta celebrates International Women’s Day in Goa. 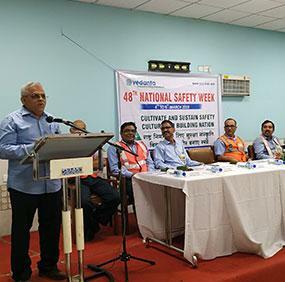 05 Mar ,15 Vedanta's SSLT celebrates 44th National Safety Day in Goa & Karnataka.